Let us then come boldly unto the throne of grace, that we may obtain mercy, and find grace to help in time of need. 1 Thessalonians chapter 5 is a favorite resting place for me to camp my heart and just absorb God's truth into my spirit. It is a familiar path that I find myself traveling through the school year. Sometimes my memory tends to fade and I need that gentle reminder from the Holy Spirit, a prompting to return to the Word. Today I want to encourage you to Pray continually, Hold on tightly, Persevere in Peace, and Have Faith in this journey of home education. Some days it seems that you are flying strong, and maybe you have this thing called, 'school' down. Other days, however, you are being stretched thin... sometimes too thin, and cracks appear. Those cracks, even hair-thin, can trickle forth the boiling contents that may have been simmering beneath the surface for some time. And then.... the crack can't endure the tension and gives way to the pressure from the inside and the out causing more damage, and it can have the potential for irreparable consequences. That is not the plan that Lord has for us to travel, my friends. This road, I have found, can be a bit lonely because it is one I have chosen to walk alone rather than in faith. Faithful is he that calls you, who will also do it. I took the liberty to bold 4 of the verses that jump out at me each time I read it. Pray all the time, hold fast to the good things, let Him preserve you as you persevere, and have Faith. This journey to home centered education has been a process of refinement and revelation for me. I can say in earnest that it has also been a redeeming time for me as well. My own education has grown exponentially, and while I value that, it is the grace I have known as I have leaned upon the Wisdom of the Ancient of Days to carry and lead me through my days which has become a priceless treasure. Some days were more about what I learned rather than marking off the list. Some days were consumed with life lessons no curricula could predict or prepare for. Some days were illuminated with the potential of eternal consequences which surpass each and every milestone that I could have anticipated. Some days were simply days to take one step directly after the other. Some days were victorious. A dear reward for earnest efforts and consistent prayer. And some days, were days we had to just get through. But.. as I look back, again, inwardly wishing I could retrace a few of those steps, what I would never give up is the color of this journey. It has been glorious! I can look back and see the fingerprint of heaven lacing the highlight reel with sparkling beauty. Only God could have forseen what was to come, and only He could have brought us through...completely changed! Here are a few of the most important lessons I have learned in this living lesson of life homeschooling has allowed to transpire. 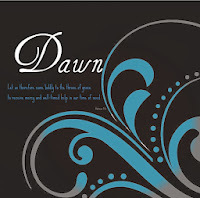 ~ Start your day in prayer! 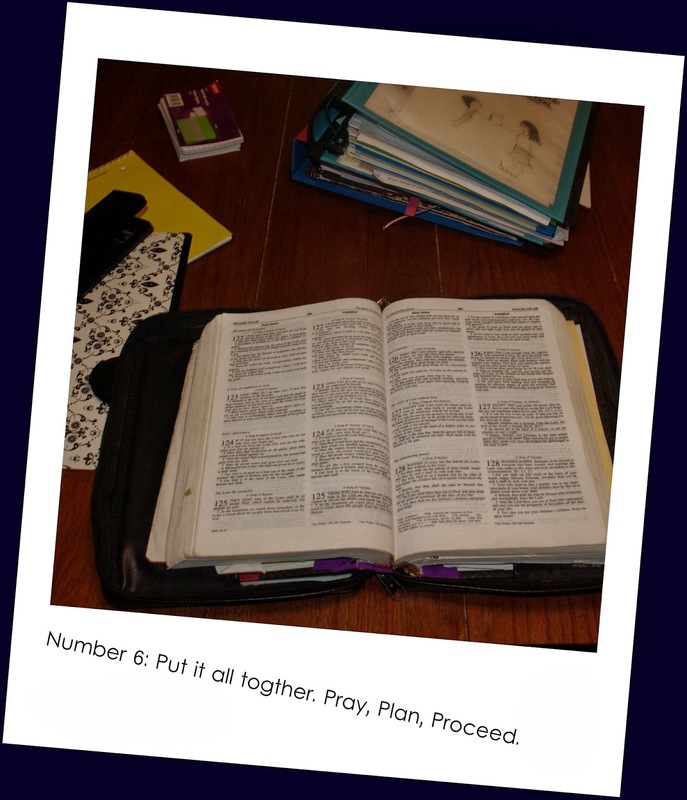 As you pray, write down your prayer requests so you can see how God has answered them. ~ Hold fast to Truth! There are many days where as a homeschooling momma or student that we tend to miss the forest for the trees, so-to-speak. To sum it up ( have to throw some math terms in here for good measure).. we are like the blind leading the blind. It is so easy to get sidetracked. I get it! Believe me I am preaching to the choir, here, but in truth we need to choose to hold on, tightly some days, to the those good things. This makes me think of Matthew 15:27 and the faith of the Canaanite woman, who saw the scraps which fell from the table of the Master as enough. Sometimes I find I want the whole meal and forget to see the portions that have been lovingly placed before me. In the end I have missed even the scraps. Keep your eyes on the truth, hold fast to those things that are good. Encourage your children, be encouraged yourself. Take some pictures of the kids while they are working, or maybe learning w/o even realizing it. Make a special meal to celebrate on those hard days. Sit down and snuggle and read a book. Dance together in the middle of the day, just to hear them laugh. Find something to praise them for every day. ~ Persevere in being preserved by His grace. Grace is such a gift. A blessing in rare abundance we hardly know how to measure it. It is not earned, nor deserved, yet still it is routinely handed to us with joy. God is working out the most amazing plan within the heart of our children, and we tend to get in the way more often than not. We are not called to save them, nor should we truly believe we are at all the source of all their accomplishments. We do, however, have the benefit and the blessing of partnering with the Lord to work out for good, all those opportunities of growing and learning. We get a front row seat to the best show around. These children are my mission field and my prayer has been continually that I would not forget that blessing. Yet, so many times in my own efforts, I lose sight of the blessedness of perseverance. As we willingly trust in Him to lead and guide us, ( Proverbs 3:5-6), we can trust that our path will be laid clearly before us. He is preserving us as we persevere in Truth. He is preserving the hearts of our children as we persevere in the daily task of teaching and guiding, leading and loving. No matter what, dear one, you are kept so securely in the secret place of the Almighty ( Go read Psalm 31!) and He is trustworthy. I am learning every day a new way to rely upon Him. He is so magnificent and awe-inspiring that I truly believe all of my days will be filled with new levels of knowing his faithfulness. And it brings me back to my knees in humble adoration. Know in the very depth of your heart that He is escorting you all on this journey and He is well-pleased with the effort you are making to pour into the hearts of your kiddos not only a love for Him, but for the Creation He has made for them to explore. Enjoy learning because it brings you closer and closer to better revelation of the Heavenly Father, who longs to have sweet communion with His children. A precious tip I have learned to use is the use of index cards. (remember from week #2 ) As you sit with your Bible in the mornings, write down those concerns for each child on a note card. Look for a scripture to encourage you and meditate on through out the day. Give your worries, cares, concerns, and hopes to the Lord. They rest safely in His hands. Draw on the truth He has given us in his Word as our supplication and then trust Him to work it out. 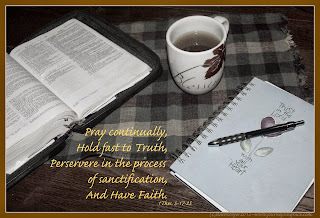 Be encouraged as you pray, hold on, persevere and have faith through your home school journeys! It is the first week in October, which is quite hard to believe. We are nearly done with our first quarter of the semester and I am wondering, how are you feeling? 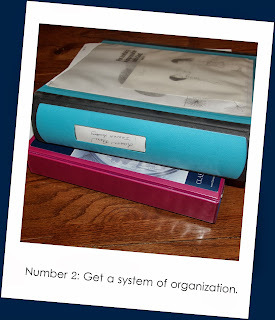 Are you still composed and collected, completely ordered with your day and the organization bug is still fresh and new? Or.... are you feeling a little bit overwhelmed, perhaps, even confused? Usually, I spend quite a bit of time in the end of the spring and beginning of the summer contemplating the year ahead, with planning to commence in July so I can start the year right away in the middle of August with a splash. Then by week 6 or 7 we are all feeling a little overwhelmed with the slightly unrealistic schedule that my over-zealous scheduling heart wanted to force me to attend to. Yes.. I admit it... I tend to over schedule our days and our week so I can fit 'everything' in and mark off all of the boxes. Let me preface, marking off the boxes, is not a bad thing. However, for me, when I let it become the focus of our day it robs my children, and myself, of the blessing of home centered education. Thinking of what I could share with you this week, I realized that one of the best things I have done through the years is establish a planning system that gave us the freedom and grace to change, if necessary, but the accountability to adhere to the educating guidelines which are important to me. 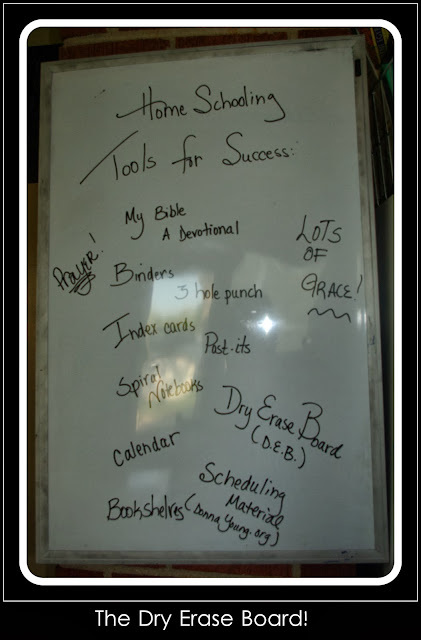 Taking a few moments to outline my ideas on one of my favorite resources, my Dry Erase Board, ( I usually refer to this as D.E.B) I began thinking of the things that I use frequently, or even daily, in our home school. I have a Dry Erase Board in multiple rooms in my house( so I can write on it no matter which room we are in), or we use portable ones, because it makes teaching a concept so easy. I can write down outlines, math problems, spelling lists, quotes for copywork, or whatever it is that I want to have the kids remember. 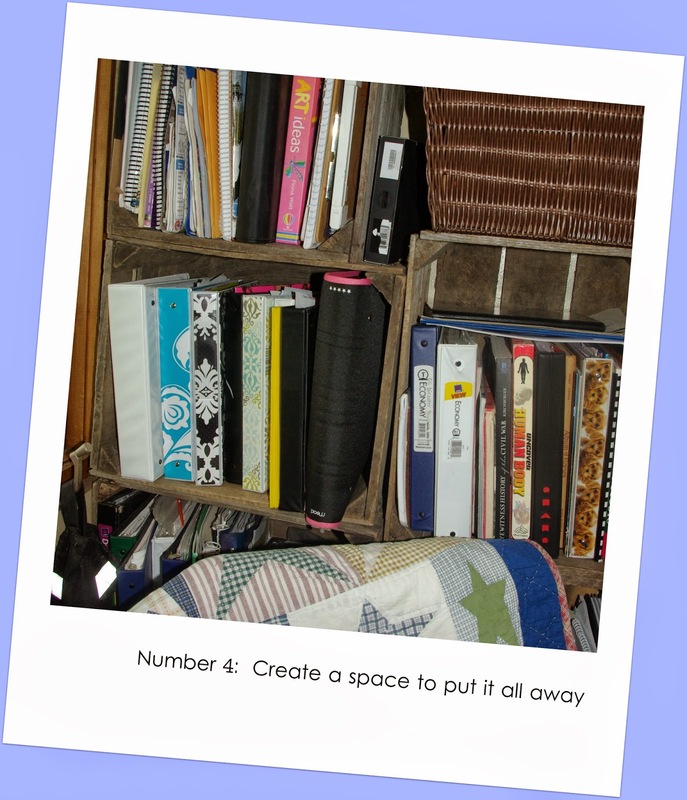 What I love, besides the convenience and the clutter that it prevents,( as opposed to lots of paper piles) is the freedom it gives me to teach a lesson and move on to something else while the kiddos can sit and ponder or work quietly on their own. By teaching them the process of learning, and letting them learn at their pace, the dry erase board has become a valuable and necessary tool in our home. 1. The most important resource, is obviously, my Bible and a Devotional. If we don't take time to meet together in the morning and read through the Word of God and seek His face, I can expect a day of trial and tribulations which are hard to overcome. This does not mean we will have a day without trouble or distractions, but it does ensure we have our hearts and our thoughts focused exactly where they should be. Matthew 6:33- Seek first the Kingdom of God. 2. 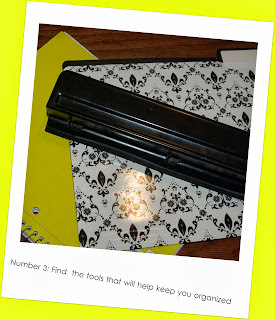 Binders have to be one of the 2nd most important investments I make for each school year. I usually have multiple binders for each student and a large teaching binder for myself. 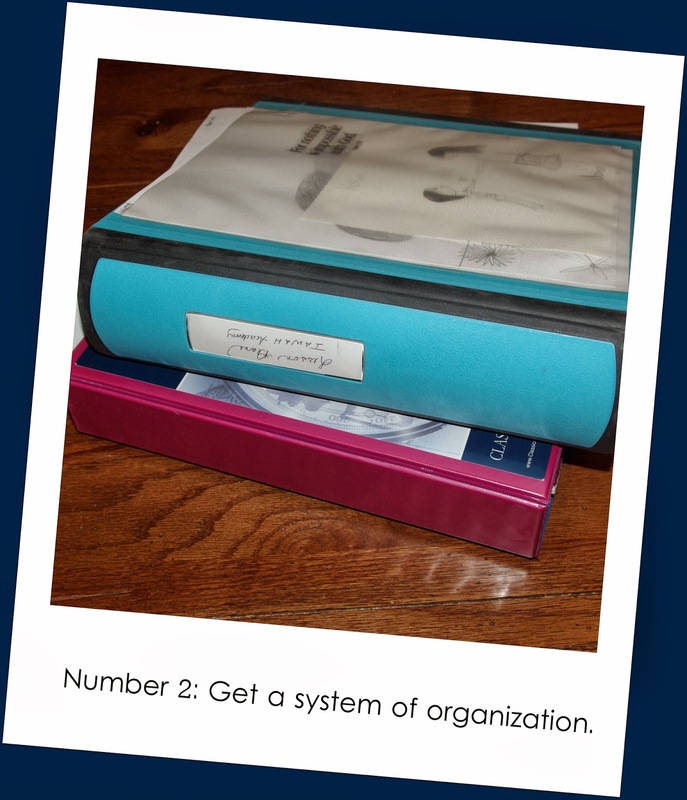 My binder includes a planner schedule, calendar, goal sheets, book lists, spelling lists, school schedules, music lessons and practice schedules, and any information which is pertinent to the student or the school year. I usually assign a color to each student using pocket dividers, page protectors, and file folders to individualize their school plan for the year. Essentially, it is my own little, "IEP", for each student. With that done, I print out a blank planner sheet for each student. Looking over the curriculum and the plan for the year, I write down what I want that student to do for the week. This gives us both the accountability we need to work diligently. It allows them the freedom to see what they need to do and how much needs to be completed for that week. It gives me the opportunity to allow them to work at their pace, even if that means that some of them work in the evening because they work better later in the day vs the morning. 3. The tools are important to the task. Take time to consider what you will need to help you become successful. You wouldn't plan a garden without the proper tools to help you take care of that garden. Your home school is like a garden. You are going to till up the soil of their hearts as you prepare and instruct your children. The seeds of wisdom are planted in the cultivated ground of their amazing minds. I have learned through the years that no matter what my children's abilities are, that I need to consistently remember that God's plan for them is actually prosper them and to give them a future. ( Jeremiah 29:11) It helps me to keep my focuse on those long days when I feel like I am scattering those precious seeds on the wayside and the roadside which is cluttered with weeds. Some of my favorite tools include: A 3-whole punch, File folders, Spiral notebooks, Index cards, Post-it notes, Page protectors, Binders, Mechanical Pencils ( no need for a sharpener), Colored pens and pencils ( this makes taking notes and outline both fun and productive). 4. Bookshelves are a huge blessing. 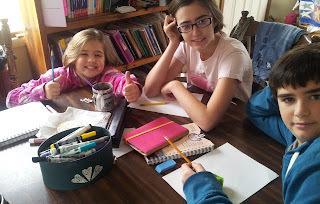 Not what I would say is a 'must have' to have a successful home school, but it does provide such a nice place to put everything when we are done working. Teaching our students to put things away helps them to not only be responsible but to also to be accountable and own their work. Putting everything in its proper place ensures you will be able to find it the next time you want to look for it. Note: I can't say that this happens every day in my house. It is the goal and the hope I have tried to encourage the kids to achieve. Each year we start with the bookshelf organized and the binders in order, and each year, I find myself re-organizing those same shelves and binders. 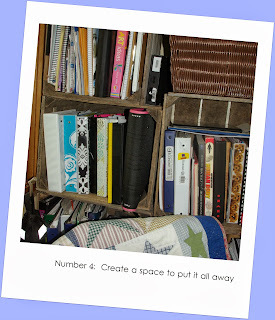 Cleaning, sorting, purging and organizing ... it is all a part of the process, really. However, if you can implement a system, it will be that much easier when you need make sure your records are put together . 5. Last but certainly not the least important on my list is the task of putting it all together. Taking some schedules I found on one of my favorite worksheet/planner websites. (www.donnayoung.org) and putting all those tools out in front of me,(My Bible, Binders, Folders, etc. ), and I stop to pray. Before I begin each year, I come back to the promise which the Lord put on my heart so many years ago. Proverbs 3:5-6 - In all your ways acknowledge Him, and He will direct your paths. He promises to give us wisdom, liberally, when we ask for it. He is a faithful and generous Heavenly Father, who will not leave us lonely and without the proper help in our time of need. Early on in our homeschooling journey when my oldest was the only student in our little academy of learning, our son was just a toddler, and we were eagerly expecting our youngest to make an appearance. 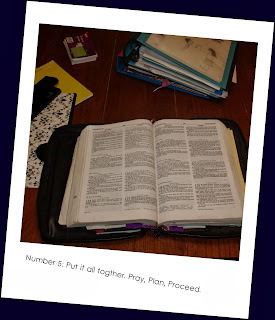 (9 months after we started our first day), the Lord met me in a time of frustration. I wanted to do it all right. I was so scared that I would mess it up; that I would mess my children up. Who was I to think I could do this thing called, Home Education? There was very little support from friends and family and I literally knew only a handful of homeschooling families. I remember trying to teach my dear one to read and finding both of us completely overwhelmed. While she was playing in her room I sat on the stairs and cried out to God. He spoke clearly to my hungry heart, the living Word that still meets my needs in resplendent abundance. 2 Timothy 1:7 ~ I have not given you a spirit of fear but of power, and of love, and of a sound mind. Jeremiah 29:11 ~ For I know the plans I have for you, declares the Lord, plans to prosper you and not to harm you, to give you a hope and a future. My hope lies in the reality that He alone is the author and finisher of my faith. He is the one who makes all the experiences of my life sweet, both the good and the bad. 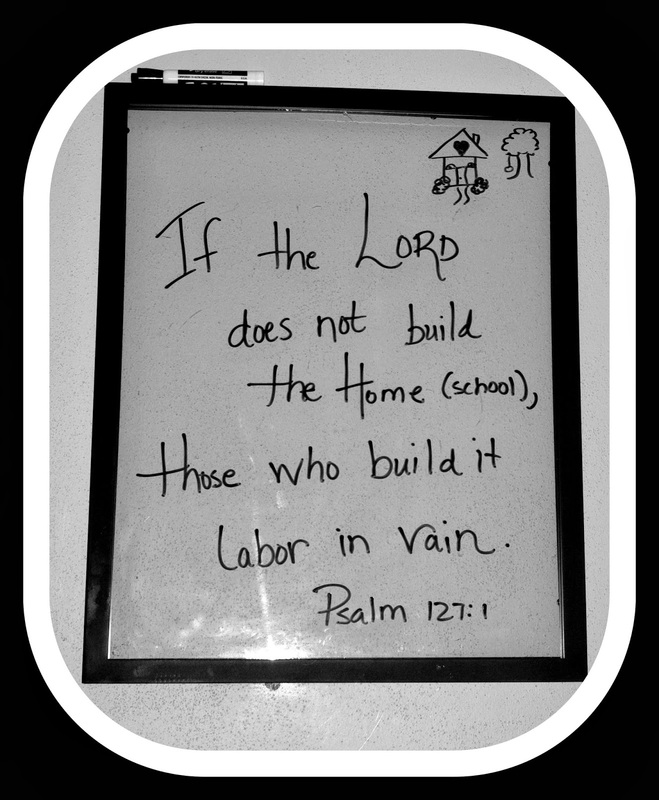 He is the foundation that we built our home school on so many years ago. He is the hope which anchors our soul and He is the promise which reminds us that we will finish this race with joy and victory. My prayer for you today is that you would be renewed with a hope that is rooted in heaven's promises and like the Book of Proverbs reminds us.. Lean not on your own understanding, but in all ways, acknowledge HIM, and He WILL direct your path! It is hard to believe the year has flown by so fast and we are already in the throws of another school year. Yikes! Not to mention our oldest is now a senior. I can remember that very first day of Kindergarten when this very nervous momma began this journey in Home Centered Education. It has been quite a learning experience, and I can say,unashamedly, my own education has been redeemed in the process. Praise God that in His infinite wisdom He can see through our faults and draw out of us the best of His goodness and plan through the guidance and revelation of His Holy Spirit. Fast forward from that first day, of trembling and fear and learning our letters to today.. still trembling and a bit fearful, but learning about Philosophy and the tenets of American History, discussing the plot of Shakespeare's plays and being completely amazed at this marvelous child who has become a woman full of grace. Isn't that the goal? Really? It isn't just about the academics... it is about being truth-seekers, willing to do those hard things because if it is easy it probably isn't worth it. So, in honor of my dear sweet girl I am sharing a few tips that she has taught me through the years. Take a break from time to time..... and pray. Stop and Listen..... and pray. ~ Sometimes we really need a break to let loose, move and giggle. This is an area I, personally, have to work hard at completing. Thankfully, the Lord saw fit, to bless me with children who think they are humorous. Or, at least, love a good dose of holy dancing, praise and worship in the kitchen. Let your kids see you praising God in the hard times, laughing when you want to cry, and learning to be humble before one another. Learn to laugh together and see the strain of the day fade into beautiful memories. Yummy Food makes it all better. ~ I remember a book by Carol Barnier that was titled, "How to get them off the refrigerator and on to learning". A great book that has really helped lots of families help their kids learn. However, one thing that works in my family is food. I have 2 teens and a pre-teen and I think that FOOD is their love-language. It is a good thing I love to cook. Food is definitely an incentive in my house. Now these suggestions are on the lighter side of the whole education spectrum, of course, they are not the meat and potatoes of our curriculum or daily schedule. They are, however, lessons learned in the trenches. Lessons that have kept us going through long days and short amounts of patience. All seasoned, no doubt, with a little bit of grace. Today as my oldest is focusing on a research paper contemplating the effect of one of the greatest theologians in American History she looks at me and says, " You know, Mom, this would be a perfect time for a good snack. 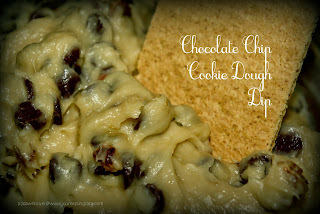 I think some chocolate chip cookie dough dip would really help me study." I am not a push-over mom, most of the time. But this is one instance where her love language was crying out, wondering if mom was listening and willing to add a little comfort. If that is what it takes to see her dive into the role of a serious student.. the dip is the pool of joy I am willing be of service with. 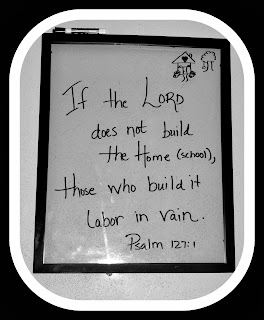 Take time this weekend to pray and seek God's heart for you as you plan your home schooling week with me. This is my prayer focus this week, from Jeremiah chapter 29:11-13: " 11For I know the plans I have for you,” declares the Lord, “plans to prosper you and not to harm you, plans to give you hope and a future. 12 Then you will call on me and come and pray to me, and I will listen to you. 13 You will seek me and find me when you seek me with all your heart." Technically, you should ‘chill’ your dip and serve it cold. We, however, can’t wait and usually eat it right away. It is yummy whichever you decide. Serve with graham crackers, apples, or nilla wafers. You can also find the recipe on my website here. There is a place where faith must assume command in our lives as we journey forward in life. This concept has been profoundly more clear to me in the last year as I have pondered the path I am meant to walk. Each choice weighs heavily as I consider the direction a step would propel me. Down one road swiftly descending the winding path, takes me further from the other path which not only appeals but beckons my heart to traverse. Yet, it isn't about the path, its view, or even its destination which has been the question. It is whether I am following His dreams versus my own. Whose dreams do I hear when I am lost in thought, my own or the beating of His strong heart? The dreams can conflict, they can collide, they can intersect, but the purpose of my days needs to be fixed upon the constant gaze of the One who calls my heart to His hope. Faith rising up within us demands our attentiveness to be focused securely on the One to which Faith is attributed. Romans 10:17, the very first verse I memorized in scripture, reminds us Faith can only come through constant study of the Word of God. "Faith comes by hearing and hearing by the Word of God.". Faith is the unseen force with guides us on, and propels us to believe, hope, pray, and seek. Faith is the unbroken thread which ties us to the throne of Grace. Faith can be the size of a mustard seed and still be enough to move mountains. ( Matthew 17:20) And we can be real enough to ask Him to strengthen, even increase, our faith... to help us in our unbelief. Yet, when does the truth of faith penetrate our reality? When do we fail in our faithfulness.. and it is us who fail in this area, because God is not unfaithful.. He is not like man in His stature; he does not change, but is the true meaning of constant. It is His faithfulness, His constancy, His grace in the Loving that draws the broken to the seat of redemption. It is here, in this aura of light dispersed beauty that Faith finds its roots and dives down into the parched soul filling and feeding with heavens nutrient rich life-giving water. Faith seeds are planted when the living Word of God reaches into the cracks of our hearts and settle. Faith sprouts up, in fervent expectation of watering and life-light shining upon the hardened covering protecting the germinated seedling encrypted with promise and hope. There is an expectation for harvest when the seeds are sealed with heaven's bountiful promise. This seed, His Word, will not return to Him void of fruit but will fulfill all that it was intended to do. ( Is. 55:11) There will be a harvest because of the plenty already hidden within its construction. Dig deep in the depths of this masterpiece, looking for the heart of the Master's plan... His plan for YOU. Rest in the beauty of His love-letter dictated just for you. Allow the Words to become the medicine your aching spirit is yearning for and watch as Faith rises and blooms. The fruit is the glory of the Holy One's dedication to sow the richness of heaven's storehouses, the abundance of His Love. I'd love to pray for you! Share a prayer request in the comment section. I have created a pdf to help you commit God's promise into your heart and apply to your situations. For the next few weeks I will be posting some helpful tools when teaching writing to your students. These ideas and tips come from the lessons I have prepared for my own children and the students I have taught in our homeschooling co-op and classical ed. program we have participated in for the last 4 years. I have loved every chance I have been given to share and invest in the lives of the young students that have graced my path, many of them being dear children of my precious friends. 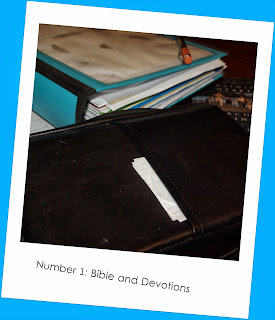 I hope you will be encouraged with some of the ideas I share and it will lighten the load you already carry as a homeschooling momma. This first post will focus on "How to Write a Character Sketch". You will be able to find a downloadable pdf at the end of the post. q What are their beliefs or hobbies? q Include anything that makes us see "who" they are. q What do you like or dislike about them? q Why are you drawn to them? § Your thesis statement ( the overall theme of the paper or the main idea of what you are writing) . The Thesis statement should include the most important character traits. · The subtopics ( these become the topic sentence in your body paragraphs) should be included in this paragraph as well. For example: use 1 - 2 sentences to list the traits that you are going to talk about. End with a transition sentence that ties into the 2nd paragraph. § Always try to include the most important trait 1st, the second most important detail next, and so on. Each paragraph has 1 trait which is discussed in detail. Include information about experiences that support the trait which is being discussed. o Remember! You want to pull your reader in so include details that will connect them to your main character. § Restate your thesis statement. § Remind the reader of your most important points. § Close with a solid statement which finalizes all you are trying to communicate to the reader. Last point! RE-read your papers. I always encourage my students to write their rough draft and then walk away for at least a day or two. Then go back with FRESH eyes and re-read it. Always have someone else read it through for those little editing mistakes. is easy to miss in your own writing. 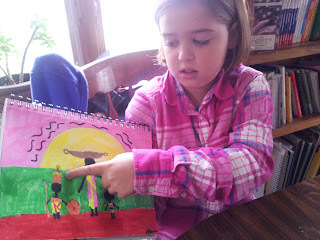 Teaching Art - Home School Style! I have often tried to help my children in their 'bents' as we travel this homeschooling journey. When they have expressed an interest, we have tried to let them follow it... to an extent. When there was something that I couldn't teach them, specifically when it comes to the arts, we would try to find a talented individual who could. Ever since our youngest could hold a crayon she was mesmerized by the world of art, drawing and coloring. 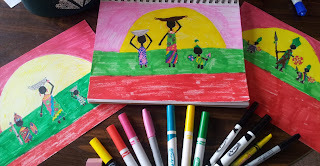 She has wanted to be an artist for as long as we both can remember, ( she's 10 ....you'd think that we'd be able to remember that far back.) However, it wasn't just her interest in arts, crafts and painting and the like....she was gifted in this realm. 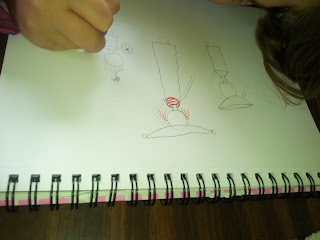 My limited ability to draw those funny little flowers and trees that often mesmerized me was not enough to train her to look at perspective, light, shading, and depth and exactly how they all work together. I found an art teacher. :) We love our art teacher. 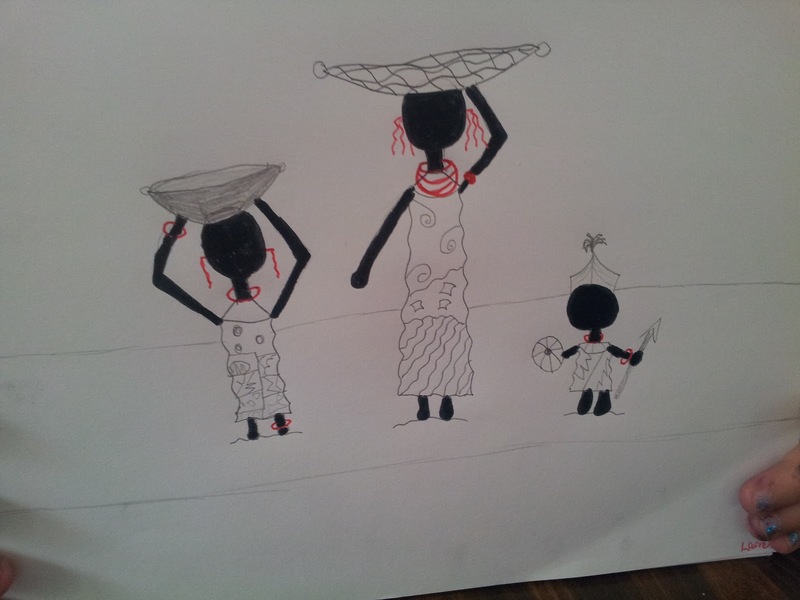 She has opened the world up for this young budding artist. It was like finding a kindred spirit, I think. Yet, it wasn't just for our youngest that the gift of art has been a blessing, it has been an added gift to the other 2 children. Being exposed to art, especially with someone who has a love for the Lord and for others, has touched our children in multiple ways. As with the specialties we have found a huge blessing participating in a co-op with our kids. The co-op meets during the week and the kids get to take classes they are interested in learning and working through. Again, it opens that door to a wide array of opportunities for them to participate in something that brings in additional learning blessings. That is one of the reasons we home educate, right? To open the doors to educational liberty with our children. So after learning a new and fun lesson yesterday in co-op art class, our budding artist begged and pleaded for a chance to show off her skill. She set us all down at the table, giving us our necessary tools and began to explain, in detail, the steps we would need to take to complete the task. She was able to explain what we were going to be drawing and why we needed to use the colors that she suggested. She showed us on various websites the pictures of the real art, as she called it, with contagious enthusiasm. 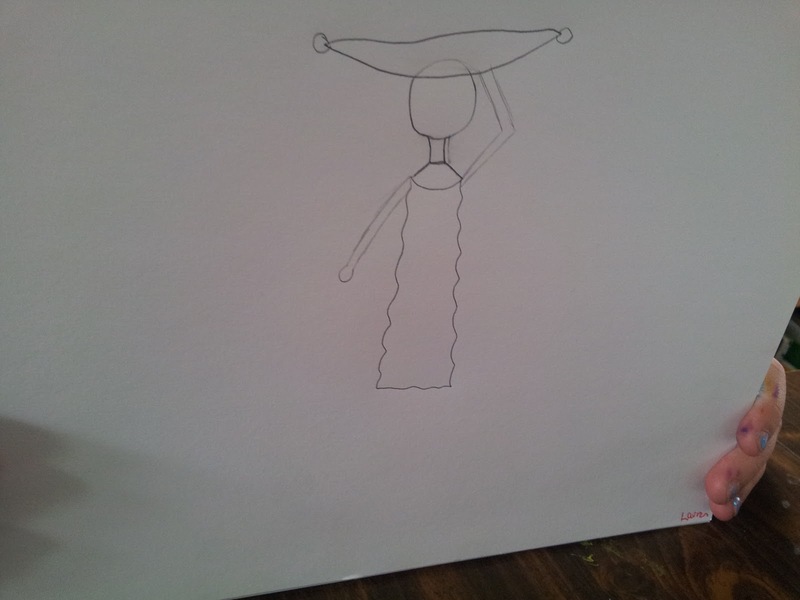 Patiently, ( truly she was patient beyond her years), she taught us how to draw our figures and place our symbols on the paper. Joyfully, we each completed our masterpieces. Each unique to our own personality, inherently resembling those things that point to the creator of the piece. 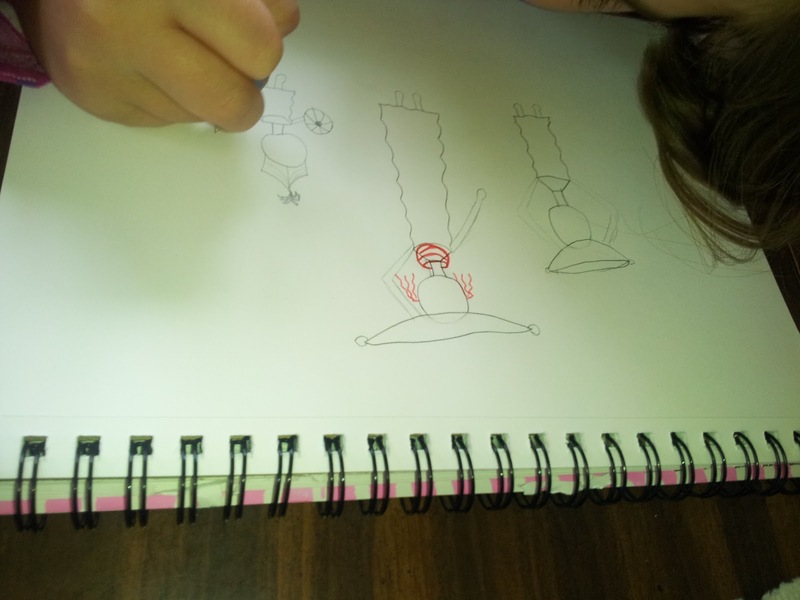 Here is her lesson with pictures. Go draw something fun with your children!!! 1. Get a blank piece of paper and a pencil. Put your name in the lower right hand corner and the word "Maasai" in the lower left. 2. Draw a small oval or circle in the upper middle portion of the page. 3. 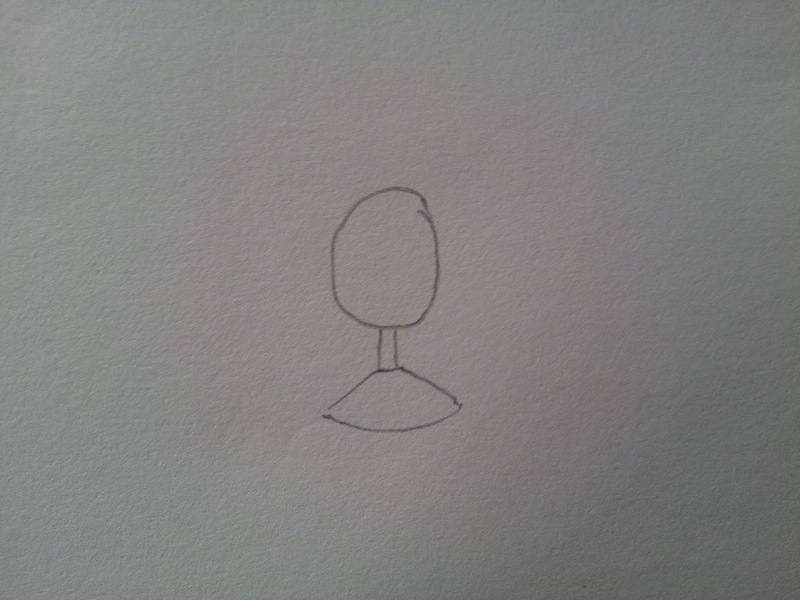 Draw a skinny neck ( attached to the circle). 4. Draw slanted lines from the neck with a curved bottom and a straight line across the top to separate the neck and the necklace. 6. 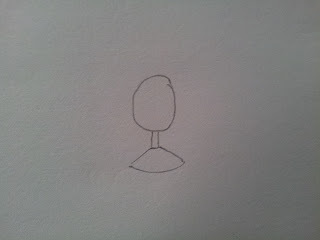 Add a headdress and a spear or shield, if you are drawing a boy, or a basket/bowl for a girl. 7. Draw skinny arms holding basket, 1 or 2, and/or the spear/shield. 8. 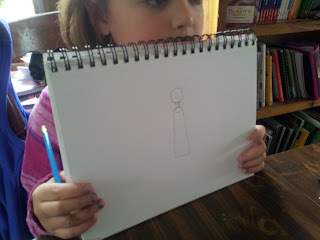 Draw small (short) legs at the bottom of the dress with rounded feet. 9. Make 2 small children next to your person in the middle. ( *note.. you can add more if you want to.) Keep the feet on the same level as the big person. 10. The Maasai People love jewelry and the color red. So draw some jewelry on your people with a red pen or marker. Girls wear large earrings vs. the boys smaller earrings. Girls wear lots of bracelets on arms and legs and big necklaces. Men wear bracelets on feet and arms and smaller necklaces. 11. Make designs on the clothing. Lots of fun designs. 12. Add lines to the baskets to make them look woven. 13. Color all the skin that is showing in black. 14. Add 2 horizon lines.One below your people's feet and one in the middle of the paper. ( not above the adult in your picture but it will be above the children's heads.) Add some rounded lines under their feet, as well. 15. Draw a large sun on the horizon. 16. Color the gowns of your Maasai people." Please use lots of bright colors," we are instructed. 18. Color the background behind the sun pink. 19. Color the middle layer green. 20. Color the bottom layer red. This was a very fun activity added to our day. I hope this will be a blessing to you as well. I will try to add a pdf. version of this art lesson to my website in the download section at www.journeysingrace.com. Here are 3 of the completed pictures. I was in the first category when I started teaching economics to a group of homeschooled High School Students. :) To say the least, I was on the very beginning edge of feeling completely inadequate to teach this subject. When my husband found out I was slated to teach economics, he laughed and said.. " Does that mean you have to learn to balance your checkbook?" Economics, as I mentioned in my last post, deals with the relationship of people, trade and productivity. When you look back through History you will see that an economist will study the 'how' of things. That is economics. How do things happen? The why and when and the where are festered into the subjects which are inherent in our history, geography, philosophy studies... yet when we take time to really consider what true learning is we can see how they all work together. It reminds me of the verse in Romans 8:28 ~ And we know that all things work together for good to them that love God, to them who are the called according to His purpose. A quick reading of Romans 8 will lift your spirit. Such beauty we have right before us to learn and glean from and then we come to verse 31 and it says, " if God be fore us, who can be against us?". How does this tie in? Simply this.. Economics is not new, or hard to understand. God is the eternal economist. He has the best economy and all things, at his hand, end up Good. When we begin to study Economics it is pivotal to know the terms you will be studying. Know what Economics means and how and why it applies to you. What is commerce and why are 'commercials' important to the economy? -There are many more ideas and terms that you can branch off into while studying the subject of economics, but this is at least a start. Take time to first review the following questions? The Free Market Theory of value states that the value of a good or service is subjective to what is willingly given in exchange for that good or service. What is necessary for a free market economy? Why do economists study the actions of individuals? What is more important the individual or the group? Economics tells the how of history, explaining how the market functions. How production and increase affects and changes the lives of individuals. There is something we want or need. This trade leads to production, on both sides. There is an increase in money or goods in the economy. Now Supply and Demand are considered in the equations; prices rise and fall... values change...etc. Here is a thought that can be applied dialectically and rhetorically: What is the consequence of ideas? This process of obtaining things should be balanced by ideas fed by hope for profitable outcomes. We are all looking for profit in some measure. Profit in our checkbooks, in our relationships, in our gardens, in all we do. If you consider this it is a eternal principle found in scripture: we reap what we sow. God said, to multiply. This concept is not new, it is fundamentally law. A physical law that god created in the beginning. The creator, calls us to reason together. To think well and to be good stewards. Teaching our children, disciplining them, in the art of good reason economically will produce a generation of wise and prudent thinkers who can make good choices. When you look over the past and the choices leaders, governments, and men made economically you will know that there is nothing new under the sun ( Eccl ch. 4.) So we turn back and review to know how to make frugal and provident decisions for the future. Take time to study the Austrian and Monetarist Theory of Economics. Look at the difference be free and liberated nations and their economy's versus nations who do not advocate freedom and favor tyrannical oppression and socialism. Study the connection between Natural Law, Liberty, and Morality. Look up scriptures that pertain to money in the Bible. Study our nation's economic timetable. Review the use of money,coins, tokens as a form of payment through history. Should we go back to it? If so, how is that possible. Create a cost-of-living project so your student knows just how much they cost. Create a journal of financial articles from places like the newspaper, or Investopidea, or The Wall Street Journal, etc. Research the founding of the Federal Reserve and why it is there? What is its purpose and is it beneficial to the American Economy or is it hurting it? Research top economist views like : Milton Friedman, Freidric Hayek, James Buchanan, and Alan Greenspan. Define wealth, goods, consumer and producer and know how they relate. To have a government, we need to have taxes... is this a necessary good for society and in a free market economy how much should the government be involved? How do the leaders sway the people? If there is no regard to honesty hard work in the highest levels of authority, will it be missing from those who follow? How does that affect the economy? Teaching economics in your Home School can be as easy as just starting with a subject and finding articles and books to read and then propel you forward in your study. You can find 'school-in-a-box' with books and curriculum meant to teach you step by step. You can jump into hands on options like playing games like, Pit. Or playing the virtual stock market game on sites like How the Market Works or WeSeed. Whatever you do, show them how to be diligent with the resources God has given and not just with money. For me I have learned that what I do carries more weight than what I say,sometimes. The regard I give to the resources I have been entrusted with will shine into the hearts of my children in voluminous tones. The last thought, but certainly not least, is: Teach them to be Thankful. To be thankful is our greatest benefit. It is in the spirit of gratefulness that our bounty has true value. It is when our hearts are not heaving with the knowledge of the world but with the WORD where true economics resides. When we are thankful, in an economy which may appear to be broken and depleted, we are filling up the deposits in our heavenly bank which can be drawn upon at all times. God promises to supply all our needs according His riches in Glory in Christ Jesus. Biblical economics spills forth abundantly into our daily living so that when we heed truth, seek His wisdom and apply a gratitude of heart and hand both in deed and thought, our economic storehouses will be overflowing, abundantly, pressed down and shaken together and running over. Follow PBS Docudrama " Commanding Heights" on YouTube. Jump on over to my website " Journeys In Grace" for more help as you home educate, seek the Lord, and of course recipes from my kitchen. Take a journey of a life time as you study the history and the faith behind the US Constitution. Go to www.knoweldgequestmaps.com to order my newest ebook. Welcome to Cindy Rushton's Desk(TOP! )!